Lung disease and breathing problems can make even simple pleasures a challenge. 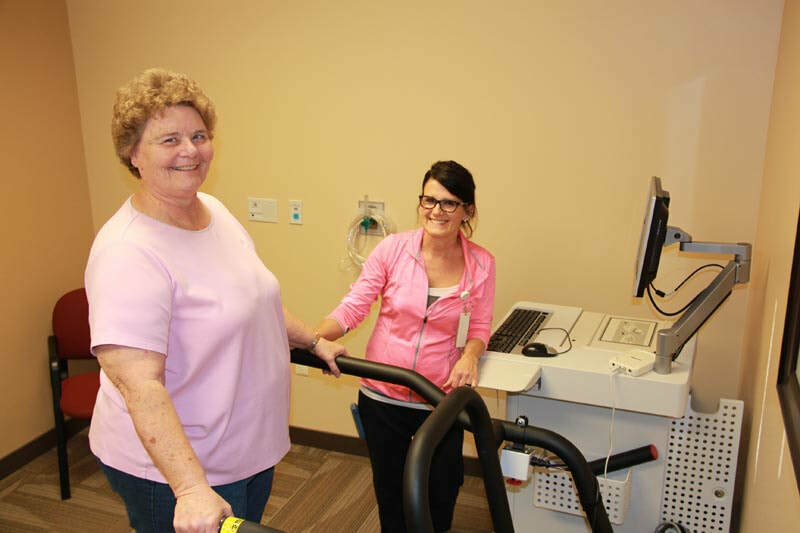 Tri Valley Health System's team of dedicated Respiratory Therapists is available to help when lung and breathing problems occur and to ensure that patients are able to understand, control and live with their pulmonary problems. The therapists work with all age groups, providing rehabilitation for chronic respiratory problems and treatment for acute respiratory conditions. The Respiratory Department office is open from 7 a.m. to 7 p.m. Monday through Friday and on call evenings and weekends. Those with respiratory concerns may call 800-732-5505 at any time. A Pulmonologist is available for consultation and also reviews all Pulmonary Function Tests and Sleep Studies.